I have just updated my online exhibition taking all the sold paintings off and adding ten new images to the collection. Other than some large paintings in a few art galleries and exhibitions around the country that are taking place right now or reserved for gallery events in the autumn these are the only original paintings now available. It has been a crazy year! 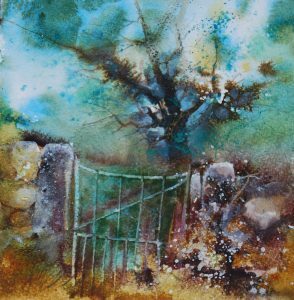 The image shown here called ‘through the gate’ is another loose interpretation of a painting that I featured in my book ‘Watercolour workshop’. 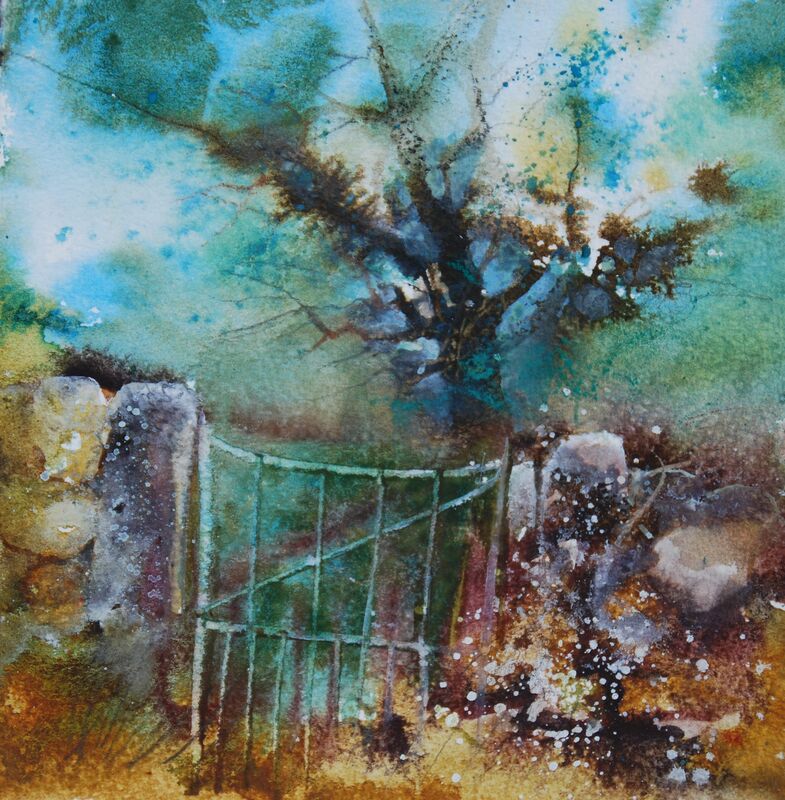 I came across this old bent iron gate wedged between large stones when exploring a magical mountain lane in Wales.